Outside Philadelphia's 30th Street Station. 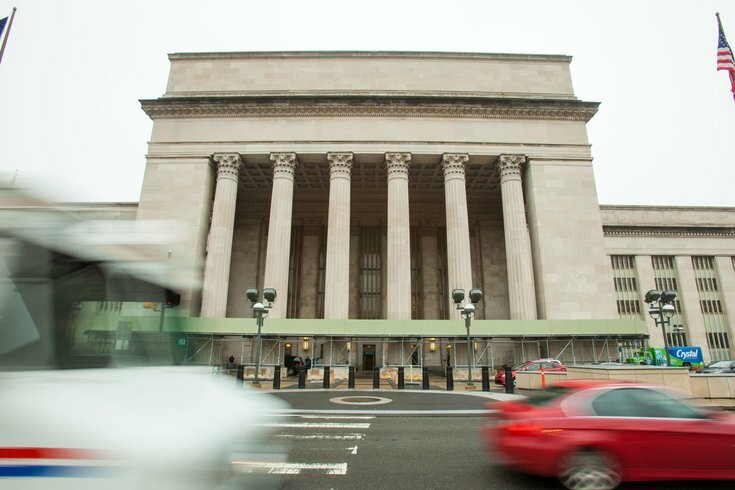 Count on slowing to a crawl near 30th Street Station even more than usual in the next five months. The northbound side of Schuylkill is set to close around 7 a.m. on Aug. 21, and it'll remain blocked off until late winter, the Pennsylvania Department of Transportation said Friday. The planned closure stems from a $103 million project that includes major repairs to the Chestnut Street bridge and a long list of other work nearby. Drivers on Walnut Street headed to 30th Street Station, westbound I-76 or eastbound on the Vine Street Expressway will be detoured west to 33rd Street, then right on 33rd to Market Street, and then right on Market to Schuylkill Avenue. The work will also bar drivers from turning right onto Schuylkill Avenue from the Walnut Street bridge. For next week, crews also plan to cut down lanes on northbound and southbound Schuylkill Avenue between Market and Chestnut from 8 p.m. to 6 a.m. Monday through Thursday to remove the concrete median there. Pedestrians will be rerouted as well, with closures set for the sidewalk on the east side of Schuylkill Avenue and crosswalks on the south side of Chestnut at Schuylkill Avenue and the north side of Walnut at Schuylkill Avenue. The sidewalk on the west side of Schuylkill Avenue will stay open, officials said. PennDOT has full details on the work here.